Extend Your Day At Sleepy Hollow! Sleepy Hollow offers after school programs for three and four year olds in the fall, winter and spring. We utilize staff as well as outside contractors to offer enriching programs perfectly fit for our preschoolers. Please read below to learn more about the offerings. Enrollment emails will be sent to the SHPS families at the start of each session. Please contact Erin Moretz, the After School Committee Chair with any questions. Discovery Bunch is an additional time for children to wonder, explore, and discover using hands-on experiences. The theme for fall semester is “Playground Discovery.” Each week the children will explore the natural properties of our playground - the dirt, the sand, the rocks, the trees, air, water and bubbles, etc. We will incorporate the scientific process (predicting, testing, observing, classifying) into our exploration. The topic introduced on Wednesday will be further explored on Thursday. Lunch packed from home (observing all SHPS food policies) will be eaten before moving to the playground. Sign up for Wednesdays only, Thursdays only, or both Wednesdays and Thursdays. Theme-based yoga classes using stories, music and games to create a fun and joyful environment supporting children through their learning of yoga poses, relaxation, mindfulness, breathing and more. Self-awareness, emotional regulation, respect, flexibility, strength and coordination are just some of the benefits of yoga. During the first 30 minutes, children will eat lunch together with SHPS staff members (observing all SHPS food policies). Please have your child wear comfortable, loose clothing (no jeans). Maximum enrollment is 15. Our soccer program runs from 12:00-1:30 after school ends. 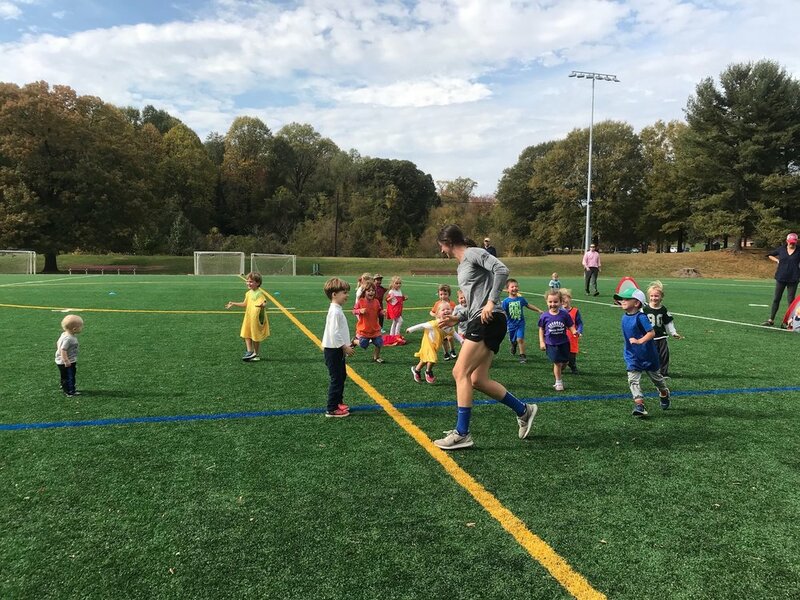 Students pack a lunch (observing SHPS food policies) and get to explore various pre-soccer skills such as kicking, dribbling, and aiming for a goal through fun games and activities. Students also learn about teamwork and being a great teammate. Come dressed in sneakers and comfortable clothes! Sleepy Hollow Preschool and International Dance have had a longstanding partnership of over 30 years! Many dancers continue with the company after SHPS, and some even come back to help teach our young dancers! 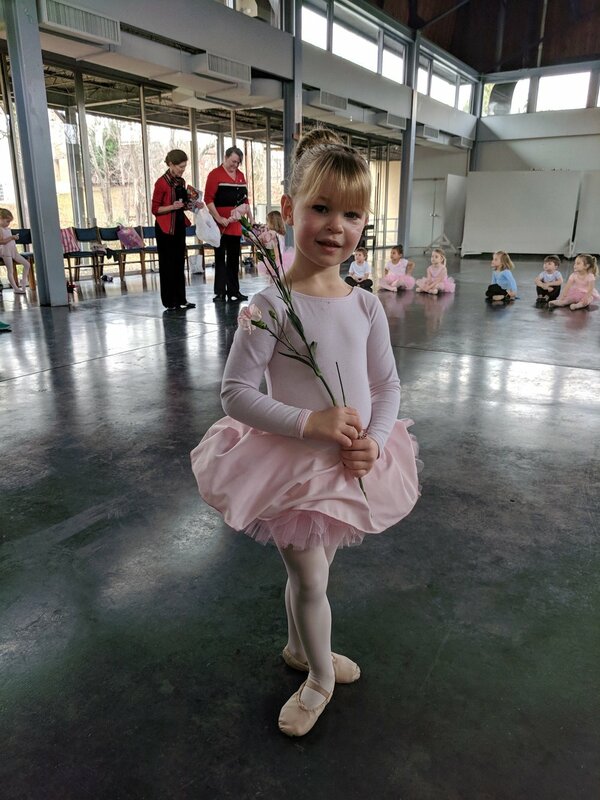 Miss Elizabeth, the owner of International Dance LLC, comes to Sleepy Hollow every Tuesday from 12:00 – 1:00PM and shares the gift of dance with our students. The class is a blend of pre-ballet, creative movement and international folk dance. It is an introduction to many styles of dance and music. In the fall we offer one free introductory class so any interested student can come try it out!